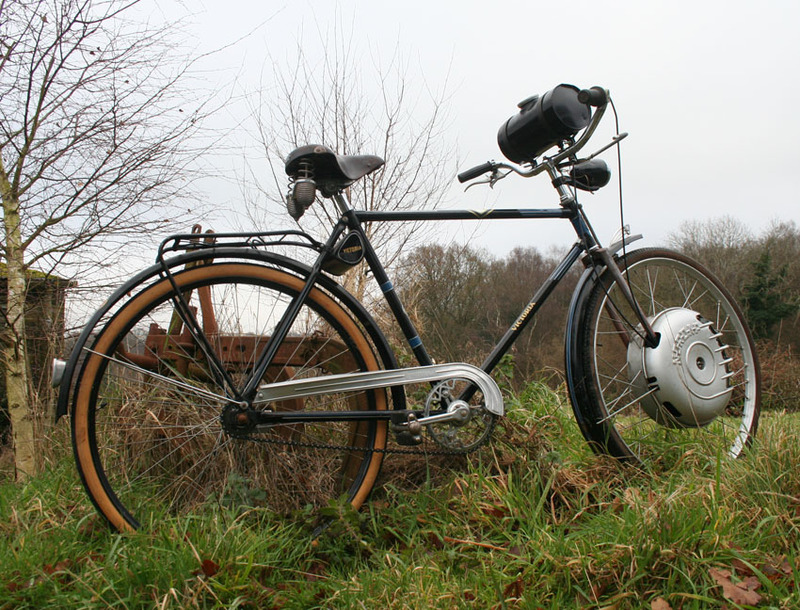 This fascinating machine is one of the rarest and most sought-after German cyclemotor. 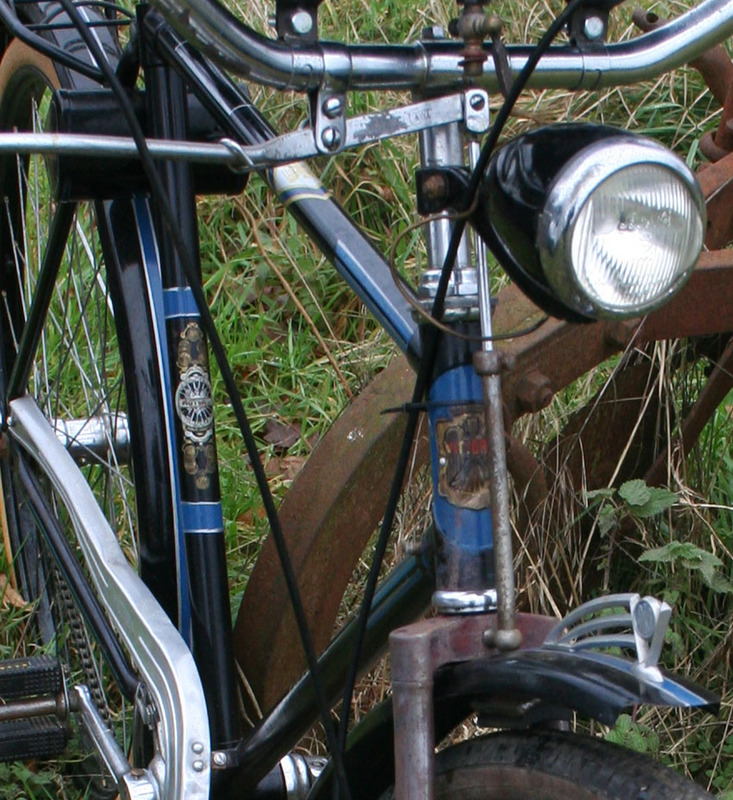 It was not very successful in its day, and I suppose that has helped its legendary status. 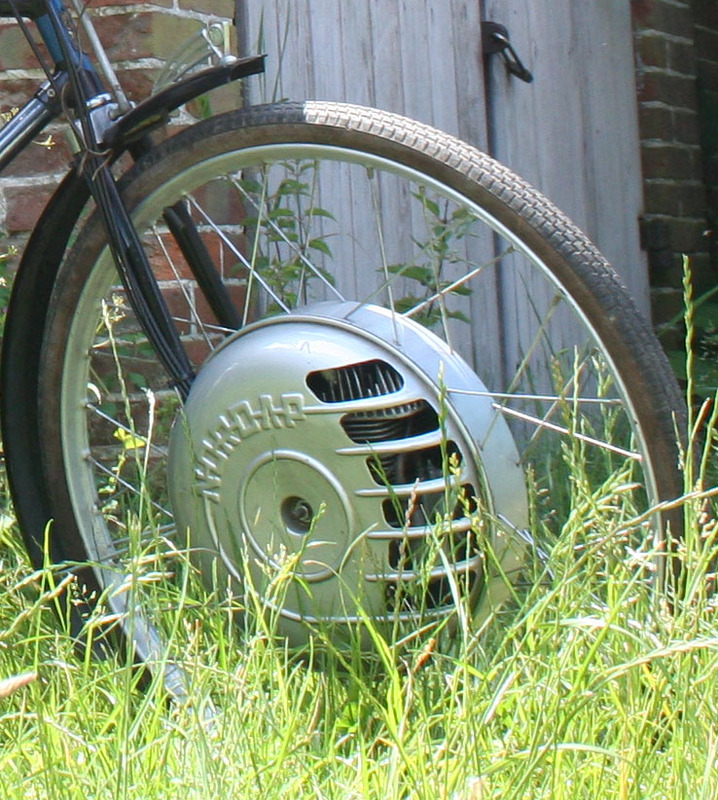 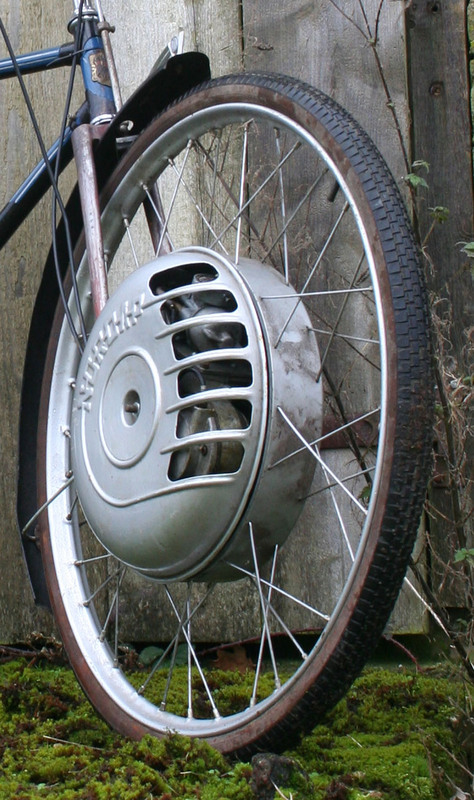 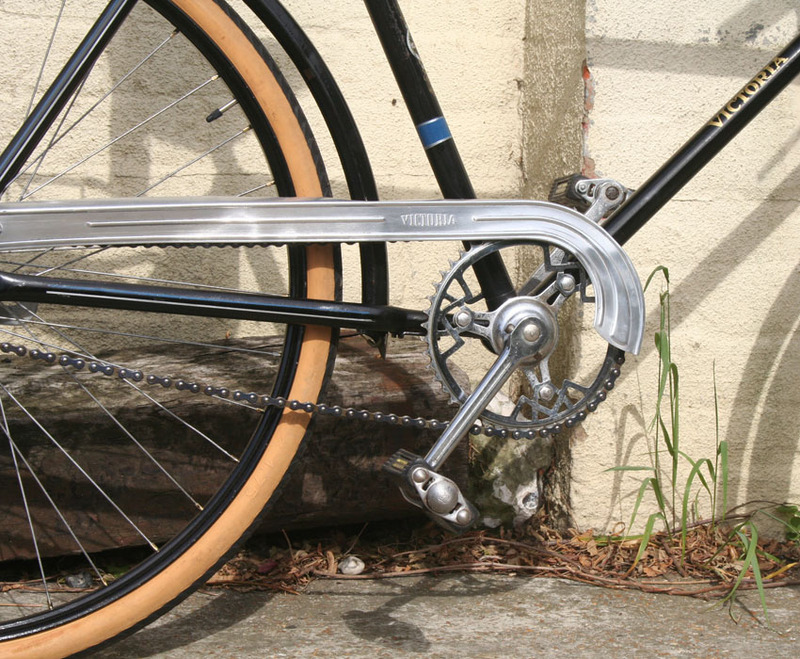 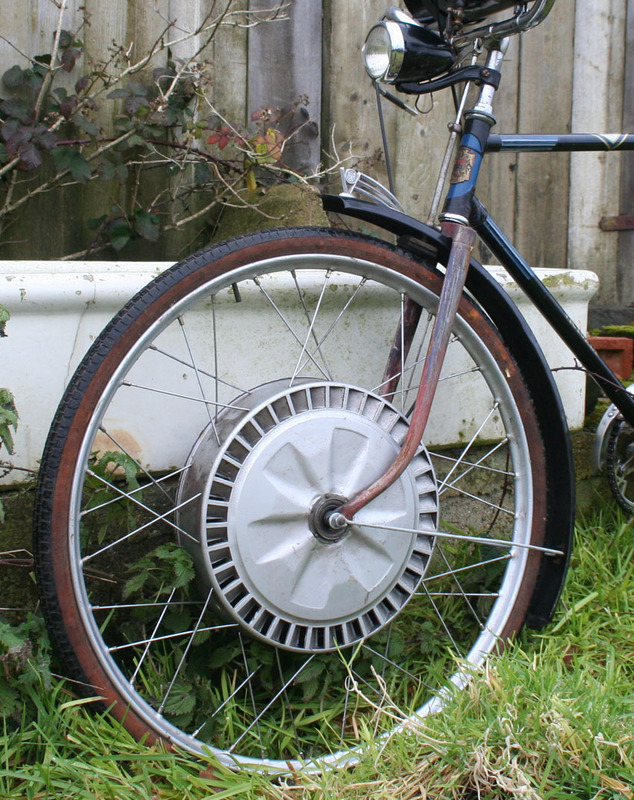 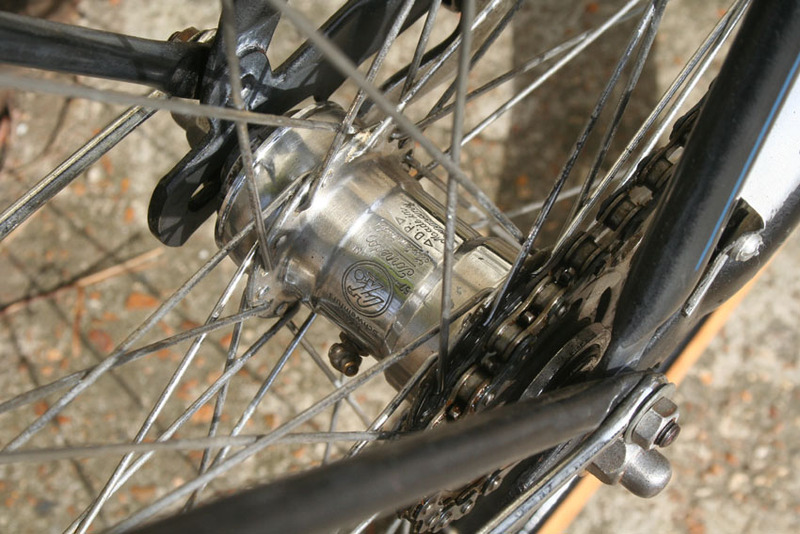 Unlike the much more famous rear-wheel-mounted Cyclemaster, the unique Nordap fits into the front wheel of a bicycle. 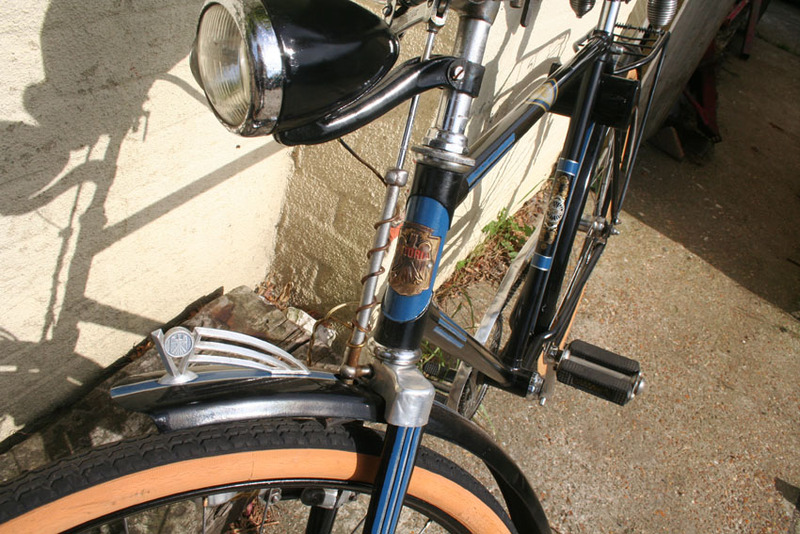 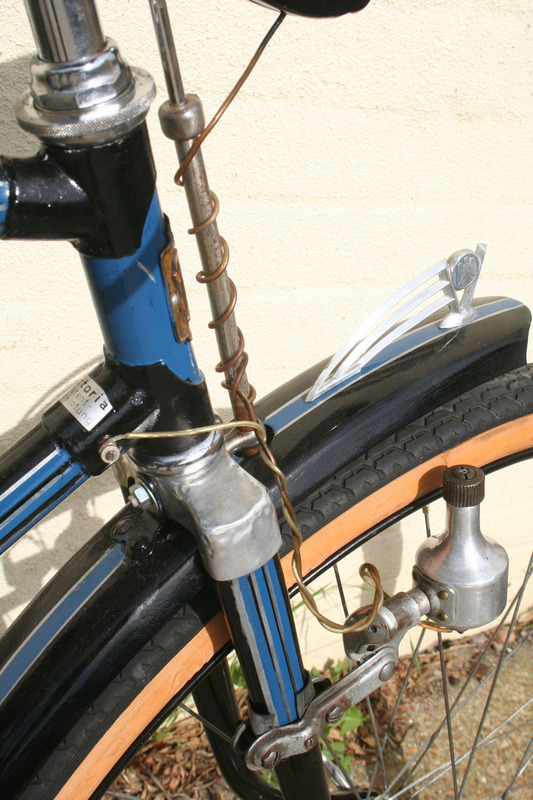 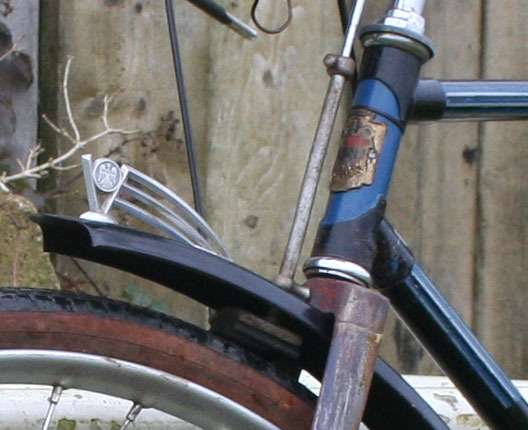 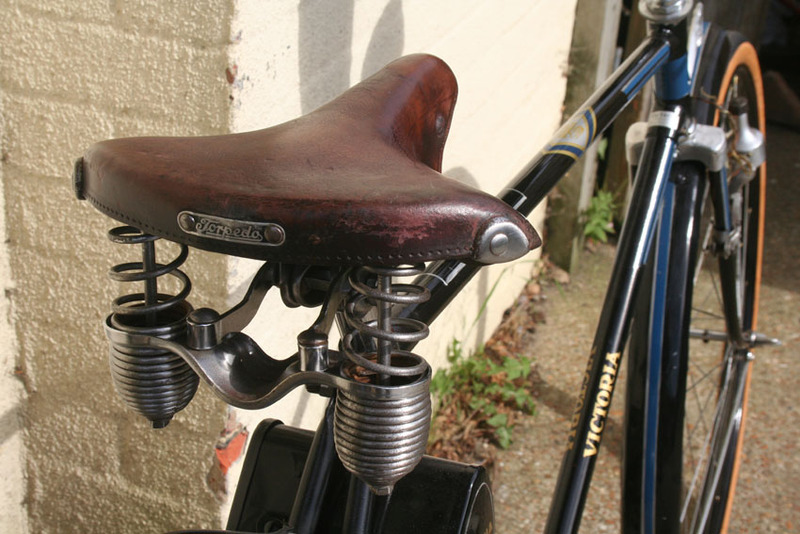 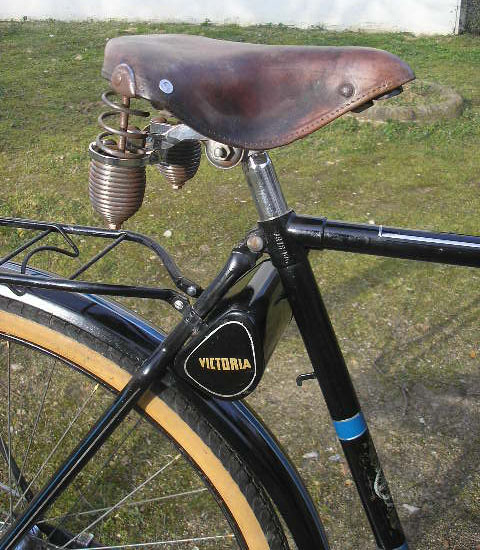 This particular Nordap is mounted in a restored Victoria bicycle. 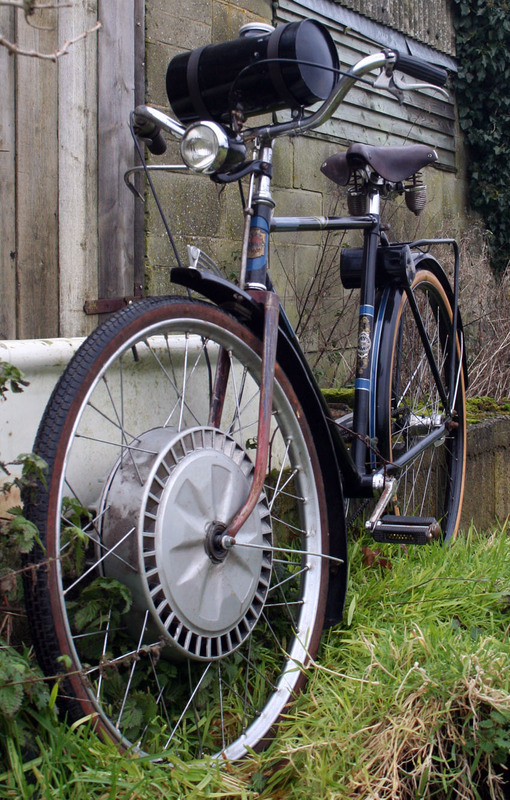 This unusual auxiliary engine unit, made by the Velmo-Motoren GMbH of Hamburg, made its debut at the German IFMA show of 1951. 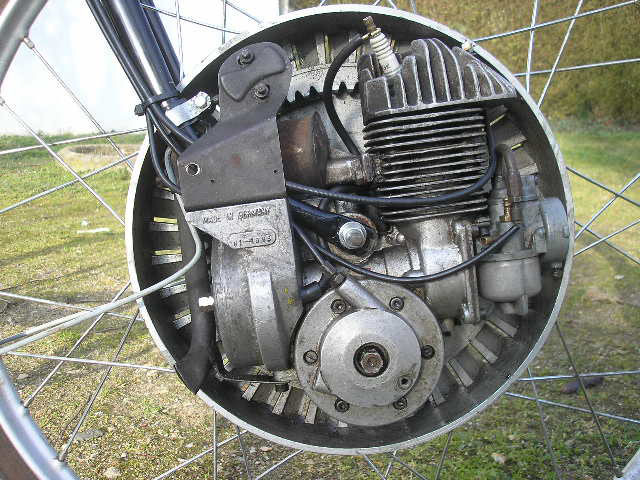 It was shown as an engine mounted in the front wheel hub, with fuel tank over the mudguard. 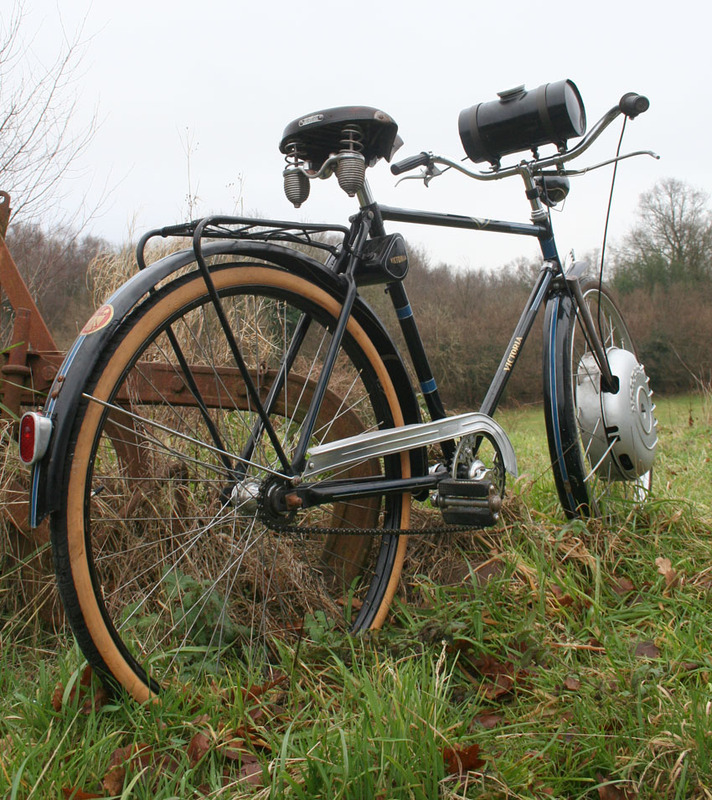 However, when it came onto the market a year later, as the ‘Nordap,’ the first model had a separate fuel tank, being a cylindrical tank fitted to the steering head. 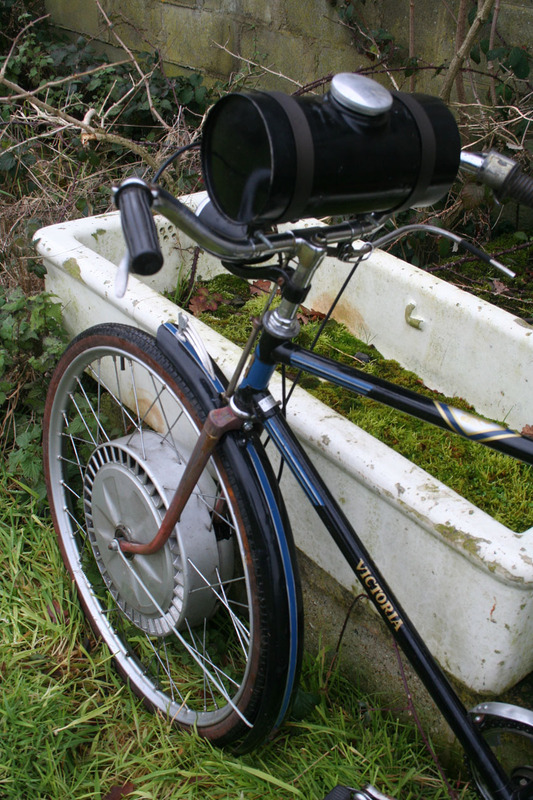 The ‘saddle’ style petrol tank came later. 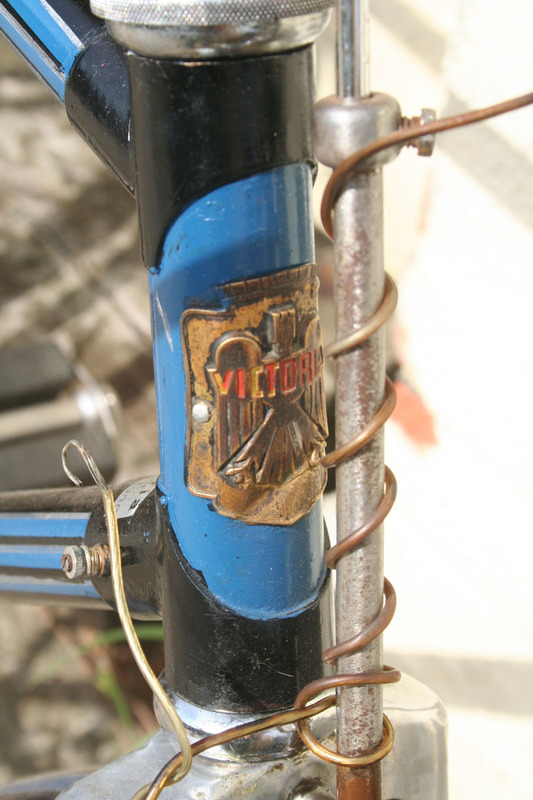 The only difference between a Velmo and a Nordap is the name, the Velmo being the name used for export, while the Nordap badge was fitted to those sold in Germany. 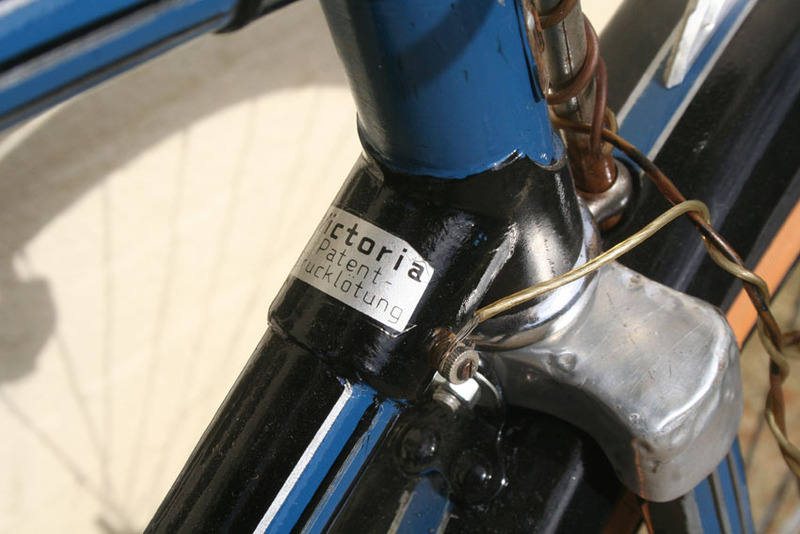 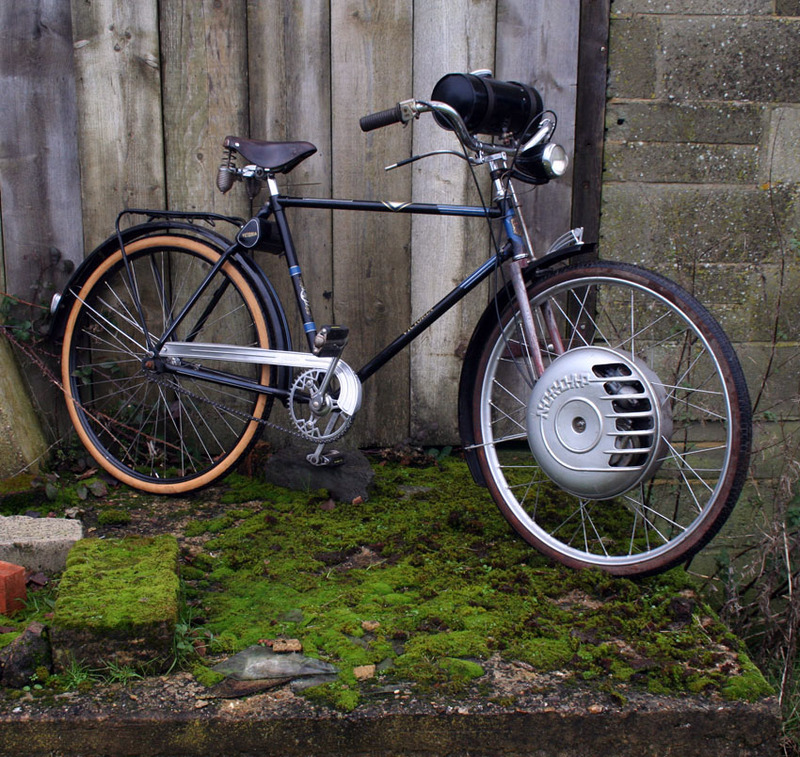 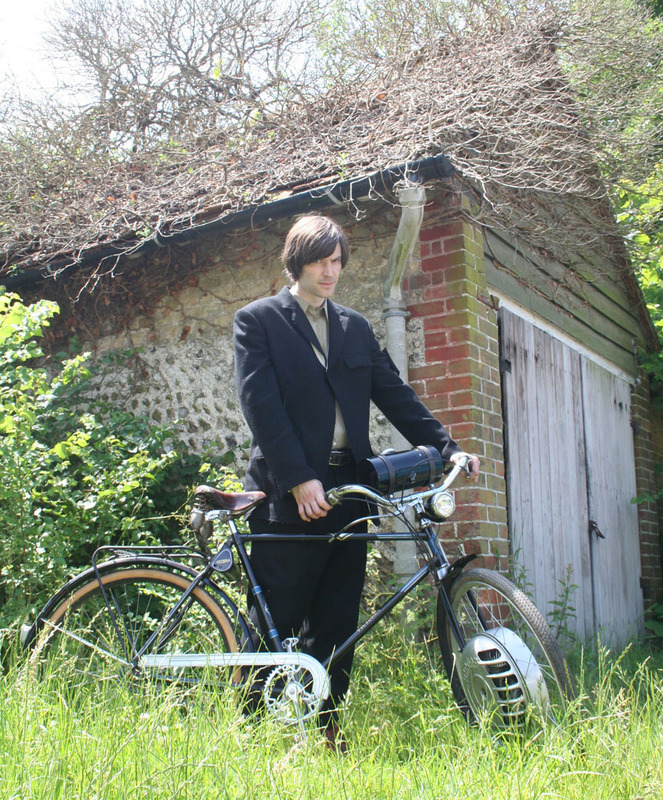 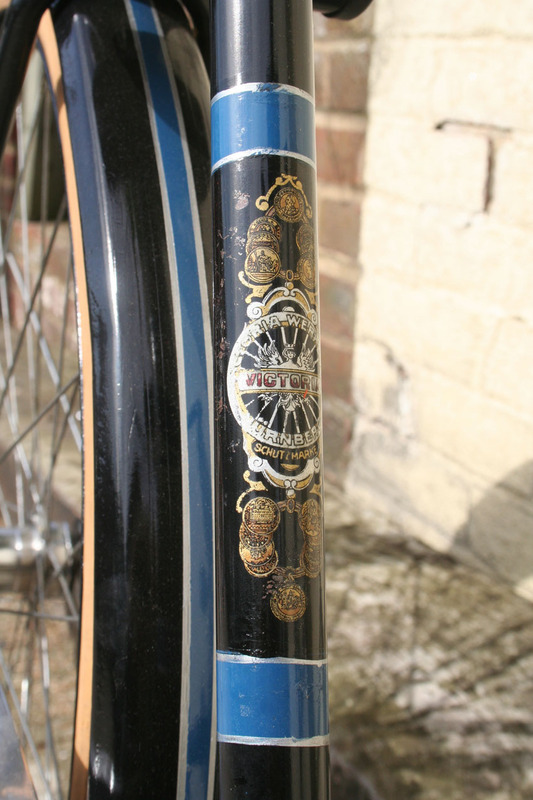 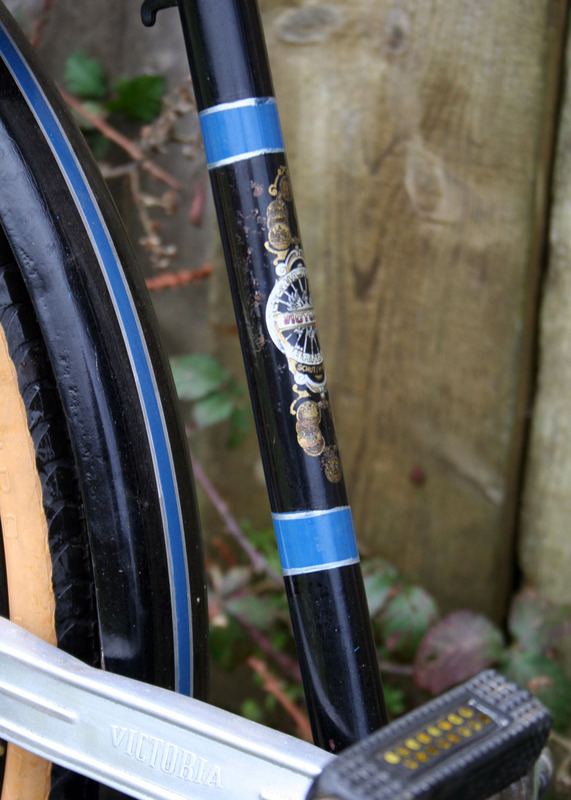 The original idea was to provide a German-made unit to compete with the Cyclemaster, which was sold under license in Germany and fitted to German Rabeneick bicycles. 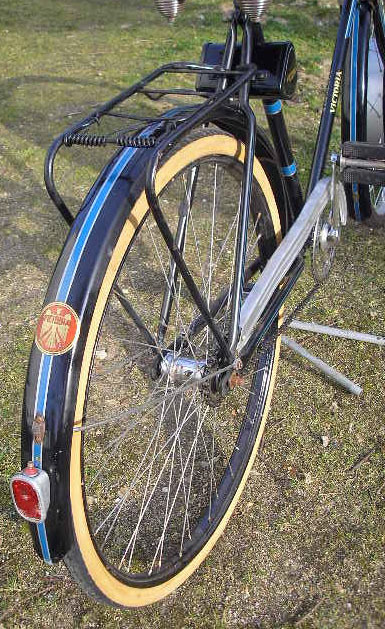 The company started, like most motorcycle manufacturers, with bicycles. 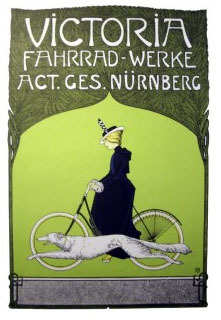 Founders Max Frankenstein Burger and Max Ottenstein started their company ‘Frankenstein Burger and Ottenstein Nuremberg’ in Nuremberg, in 1886. 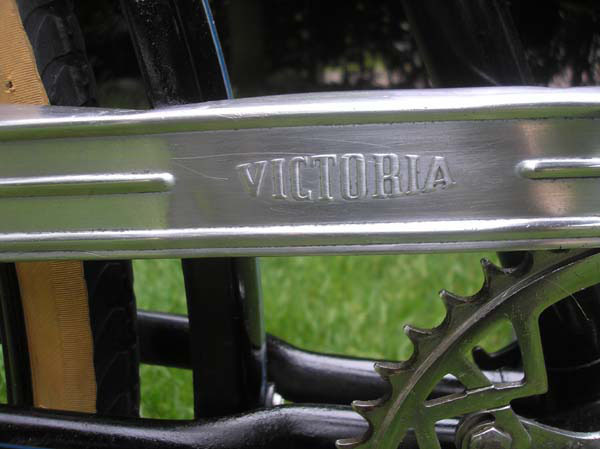 By 1888 they had manufactured 1000 Victoria bicycles. 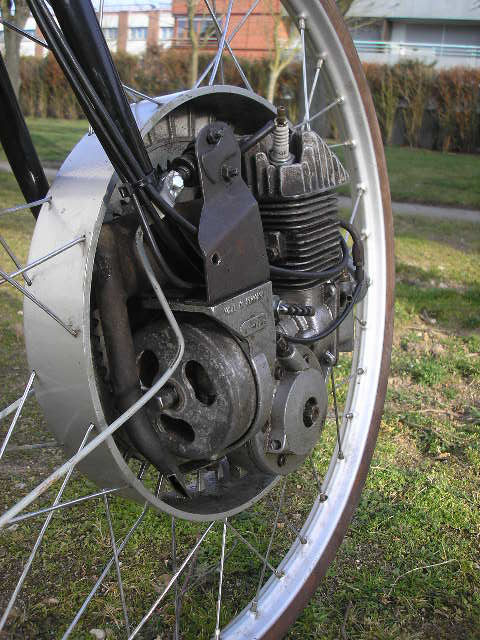 In 1895 ‘ the name became Victoria Fahrradwerke AG,’ abbreviated to ‘Victoria Werke AG’ in 1899 and they made their first motorcycles in 1901, using Cudel and Fafnir engines. 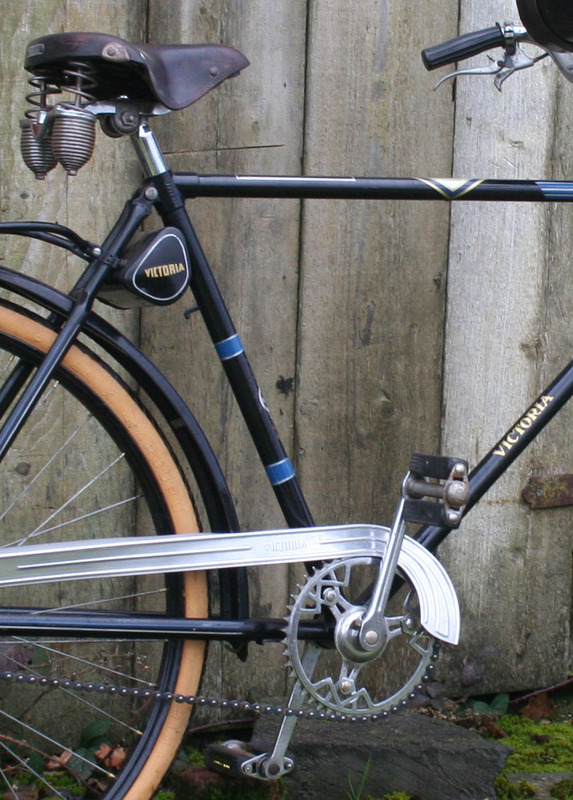 With the company’s success, the original founders, being Jewish, were forced out and replaced with Government-approved directors. 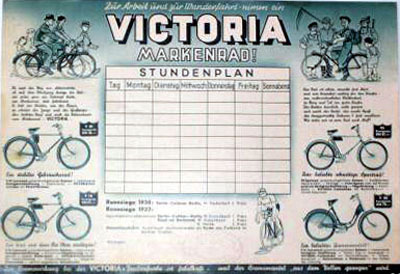 With the need, after WW2, for auxiliary engines (a limit was fixed on Germany by the Allies on how many larger-engines vehicles could be made), a 38cc Victoria FM 38 cycle-attachment engine was sold, between 1946 and 1954.